Clubs/CSA > Club Membership "Breed Sampler Spinning Club"
Choose different memberships from 5, 10 or 15 breed sampler. 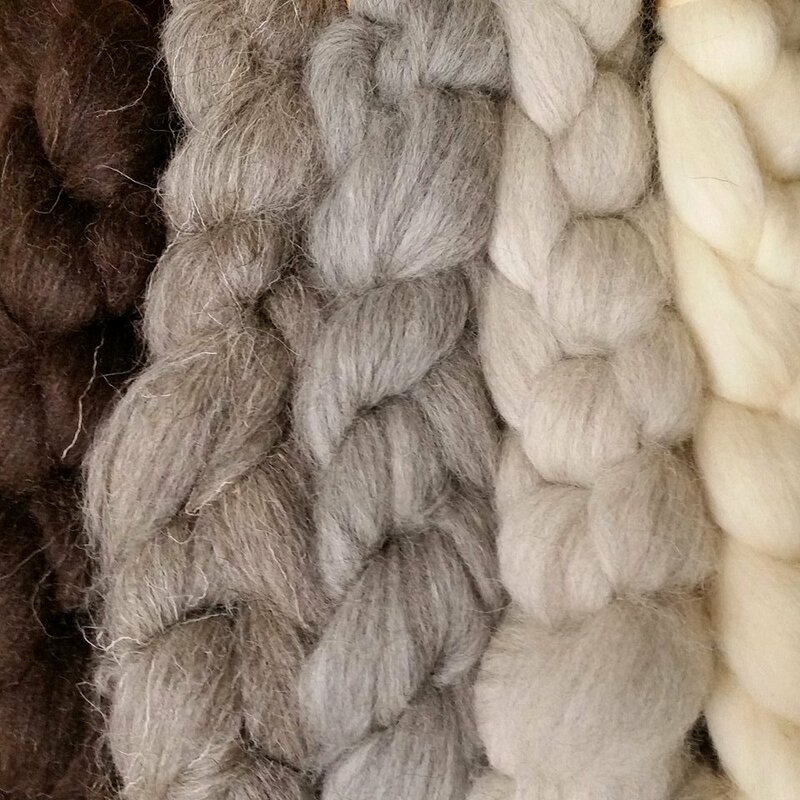 In your sampler, you will receive a longwool breed, a rare breed, a double coated breed and a fine wool breed. You will be sent all the breeds at once so you can enjoy hours of spinning right away. There is 4oz per breed. For the 5 breed sampler you get a total of 1 pound 4 ounces and for the 10 breed sampler, you will receive a total of 2 pounds 8oz. When you sign up for the 15 breed sampler you will receive 3 pounds 12 ounces. Breeds may include and are not limited to Icelandic, Shetland, BFL, Scottish Blackface, Corriedale, Finn, Black Welsh, Teeswater, Horned Dorset, Manx Loaghtam, Herdwick, Gotland, Zwartbles, Polworth and Perendale And more to come! Sure to be a fun and educational spin.